Posted on Friday, August 09, 2013 by "T". A total of 36 players entered the Full Tilt Poker UK & Ireland Poker Tour Galaway €2,200 High Roller event on Wednesday. 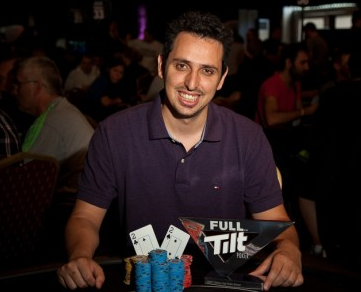 After two days of play, Sergio Aido, who won the WPT National Series Barcelona in October for $115,240 and the UKIPT London £700 NLH event in March for $217,530, was the last man standing and received €24,450 in prize money and the prestigious Full Tilt Poker High Roller trophy. Posted on Wednesday, March 13, 2013 by "T". Today the third day of the European Poker Tour London Main Event will be played. There are 114 players still standing and the chip leader is Mantas Visockis (522,200), followed by (equally unknown) Matthias Tikerpe (507,600). 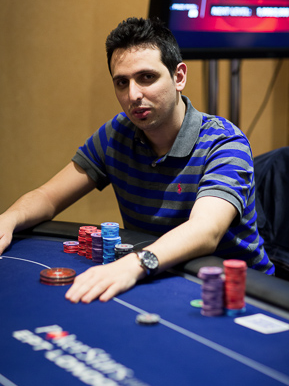 Day 2 chip leader and UKIPT London champion Sergio Aido will also return to play today with 251,400 chips. 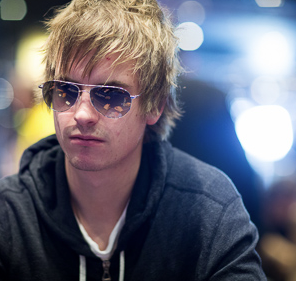 EPT London: UKIPT London Champion Leads The Way To Day 2! Posted on Tuesday, March 12, 2013 by "T". The two starting days of the European Poker Tour London Main Event are in the history books. 131 of 236 players made it through Day 1A and 225 of 411 survived Day 1B. 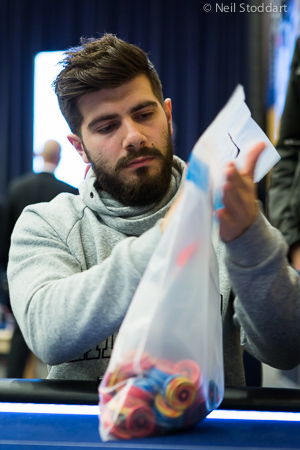 The overall chip leader is no one else than Sergio Aido, of Spain, with 215,200 chips - about 50k more than his closest opponents. 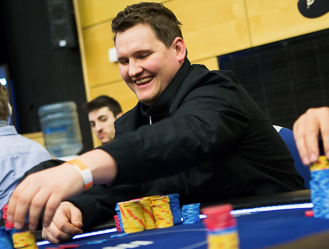 Read more » EPT London: UKIPT London Champion Leads The Way To Day 2!